Amid pandemonium over the triple talaq bill, which was tabled by the Centre on Wednesday, the Rajya Sabha has been adjourned till tomorrow. While the ruling Bharatiya Janata Party (BJP) accused the Congress of "raising Dalit violence issue to stall tabling of triple talaq bill", the opposition party hit back saying that they condemn the statement by Union Law Minister Ravi Shankar Prasad, calling the government "anti-Dalit". Senior Congress leader Anand Sharma moved a notice stating that the triple talaq bill be referred to a Select Committee of Rajya Sabha. He also proposed names of members who could be part of the committee. "Even yesterday, triple talaq happened in UP. Congress which supported the Triple Talaq Bill in Lok Sabha took a completely divergent view in Rajya Sabha. They supported it in LS in compulsion since they were less in no. Let the country know Congress' hypocrisy and double standard,"said RS Prasad. "We are all for this bill but it is a faulty bill. No women group or stakeholders were consulted. All we ask for is that talk to all stakeholders," said Trinamool Congress MP Derek O' Brien. Arun Jaitley on why the government cannot send the bill to Select Committee: "Reason why it should not be referred (to select committee) is that when the practice was declared unconstitutional, two of the judges held it as unfair and used their extraordinary power to suspend it for six months, which expire on February 22. Judges said 'we are now suspending it for six months and we beseech all parties, therefore within this period come out with apt legislation'. So, there is an urgency that country expects from Parliament. Legislature must act with sense of responsibility." "The whole country is watching that in the other house you supported the bill and in this house you are trying to derail the bill," Arun Jaitley targets Congress in Rajya Sabha. The House is taken by surprise that a motion is suddenly moved. It has not been submitted a day before. The motion has to be given at least 24 hours in advance, says Arun Jaitley on Anand Sharma's notice. Reacting to Anand Sharma's notice, Finance Minister Arun Jaitley said, "The house is taken by surprise that a motion is suddenly moved, it has not been submitted a day before. The motion has to be give at least 24 hours in advance." Senior Congress leader Anand Sharma moved a notice in Rajya Sabha stating that the triple talaq bill be referred to a Select Committee of Rajya Sabha. He also proposed names of members who could be part of the committee. Congress leader Anand Sharma moves notice stating that Triple Talaq Bill be referred to a Select Committee of Rajya Sabha. He also proposed the names of committee members of the committee. 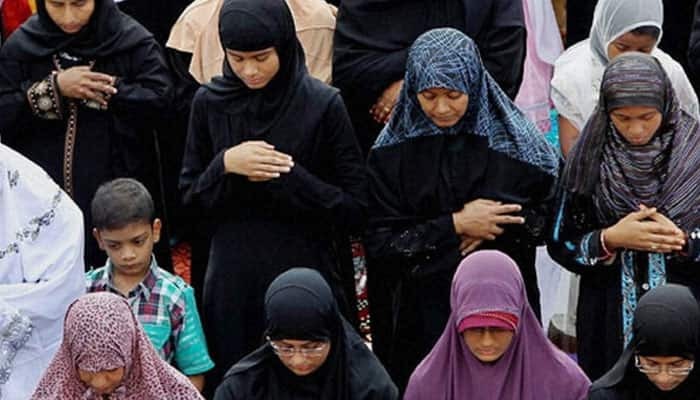 Triple talaq bill tabled in Rajya Sabha. Reacting to Prasad's statement, senior Congress leader Ghulam Nabi Azad said, "We condemn the statement by Law Minister, that we are raising Bhima-Koregaon violence issue to stall triple talaq bill. We have been raising the issue of Dalit atrocities as this government is anti-Dalit." Union Law Minister Ravi Shankar Prasad accuses the Congress party of "raising Dalit violence issue to stall the triple talaq bill in Rajya Sabha". AAP declares Sanjay Singh, Narayan Das Gupta and Sushil Gupta as party's nominees for Rajya Sabha. Congress-led opposition parties stage walkout in Lok Sabha over Bhima Koregaon violence. Congress is playing the divide and rule policy. With ''Sabka Saath, Sabka Vikaas,'' the Narendra Modi govt is taking the whole nation together: Ananth Kumar, Union Parliamentary Affairs Minister on Congress's charge. "Supreme Court judge should be appointed for inquiry into Bhima-Koregaon violence; PM should also give a statement, he can't stay mum! He is a 'Mauni baba' on such issues," says Congress leader Mallikarjun Kharge. Samaaj mein division karne ke liye, kattar Hindutvavaadi, jo wahan RSS ke log hain...iske peecha unka haath hai. Unhone ye kaam karwaya hai: Mallikarjun Kharge in Lok Sabha. Congress leader Mallikarjun Kharge raises the issue of Bhima-Koregaon violence in Lok Sabha, asks "who instigated and interfered in this event?" The issue of Koregaon-Bhima violence being taken up for discussion in Parliament amid uproar. The security has been enhanced outside Maharashtra Sadan in the wake of Bhima-Koregaon violence and subsequent protests across the state. Over 300 security personnel deployed at special CBI court in Ranchi. RJD chief Lalu Prasad Yadav leaves from Birsa Munda jail in Ranchi for special CBI court, which is slated to announce the quantum of sentence in fodder scam case. Trump's new message for Kim Jong: Have bigger and more powerful nuclear button.